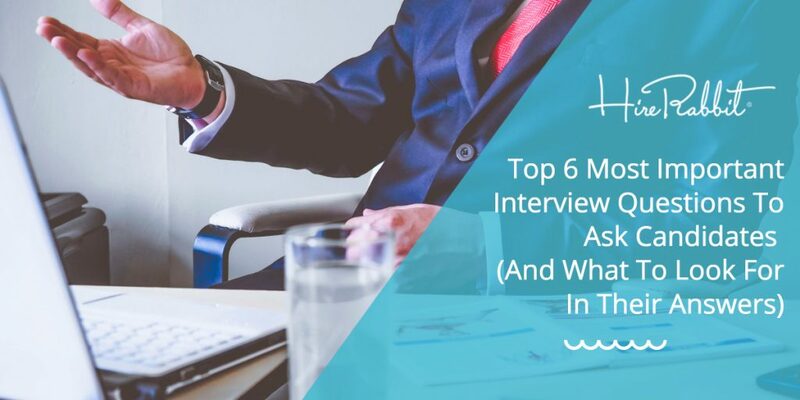 An interview is a necessary step for employers to filter through aspiring candidates and eventually, find the right candidate for the job. The recruiter must make sure that each interview is optimized to get as much information about the applicant as needed. Interviewers should ask questions that will give a real understanding of the candidate’s skills and experience, and whether they have the technical capabilities to perform the required tasks. 1. What would be the next big step in your career? Interviews are a good opportunity to understand a candidate’s aspirations and plans for the future, for you to gain insight whether they plan to stay and grow with the company for a long time. By asking this question, you can gauge whether your current vacancy matches up with what the candidate realistically sees as their career future. If it doesn’t, then you can manage expectations early and let the candidate know that this job opening may not allow for them to accommodate their next big step. Additionally, it gives you a deeper understanding if there are parts of your opportunity that could be in line with the candidate’s aspirations. 2. What would you change with your current company? Employees always have something they want to change about their current company, be it big or small. It could be the office layout or the company’s business processes and operations. The point of asking this question is to get an inside look at a candidate’s analytical thinking and see how they well they take it if they’re not able to implement/influence a change. 3. Do you prefer following established processes or coming up with your own? People working in small organizations often complain that there aren’t processes in place, that systems aren’t sophisticated or that things are inefficient. Meanwhile, employees from big companies complain that they are being drowned by the bureaucracy, that there are many things they would like to change but they cannot because they are too small to fight the system. This could be a golden opportunity for the hiring manager to sell to strengths. If your company is small, you can say that the candidate can have an opportunity to implement processes of their own. On the other side of the coin, candidates may be excited to join your large firm where they can learn processes, techniques and strategies that they didn’t previously have the opportunity to. 4. What were your biggest achievements in your current role? This interview question is a privy to what your candidate values as great work. The applicant’s answer tells a lot about what the individual values and what he or she considers important. It shows what drives pride behind an employee’s work and demonstrates what the applicant considers to be an achievement. You can understand what makes an employee happy and proud at work, and if hired, you can use this as incentive to make this employee perform better. 5. Which among your current work-related skills will you be most comfortable in teaching someone? They say you can’t teach what you don’t know. To gauge the candidate’s core skill, ask them what they would be most comfortable in teaching. Additionally, this again explains the passions behind an interviewee’s background to more accurately predict their future. 6. What prompted you to apply for this position? This question will help you understand your applicant’s motivation is applying for the job. This will help you understand what are this person’s values and how it fits into the vacancy you are trying to fill. At the same time, it gives you an opportunity to clarify expectations in relation to the position. For example, if the applicant says their reason for applying is the opportunity to travel, you can tell them just how many times they would be expected to travel so there that there are no surprises in the future. In the end, interviewers can ask a billion questions to gauge the applicant’s skills and experience. Interviews should help you understand how the candidate interacts with people and the work environment. Sometimes, the most important information to know about a candidate is what their passions are as well as where their pride and enthusiasm lie. Your interview questions should reflect your interest in their skills, but also include on their characters and personalities. Do you have must-ask interview questions? Share them in the comments section below!